Apple today seeded the fourth watchOS 2 beta to developers, build 13S5305d, just under two weeks after seeding the third watchOS 2 beta and more than a month after announcing the new operating system update at its Worldwide Developers Conference. watchOS 2 requires iOS 9 and can be downloaded over-the-air through the Apple Watch app on the iPhone by going to General --> Software Update. watchOS 2 is the first major update to the first version of watchOS, the software that runs on the Apple Watch. The new software brings many new features that Apple Watch developers can take advantage of, including native apps that run on the Apple Watch itself instead of the iPhone. It also allows developers to access the Taptic Engine and a number of other sensors in the Apple Watch, including the heart rate monitor, the microphone, and the accelerometer. Along with these features for developers, which will lead to much more complex and full-featured third-party Apple Watch apps, the update introduces new watch faces (photo albums and time-lapse), third-party Complications, Time Travel for viewing upcoming events in a watch face Complication, and a Nightstand mode that's activated when the watch is charging, displaying the time. 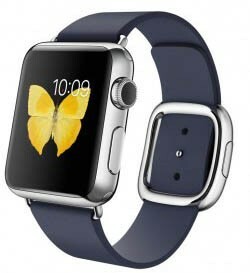 watchOS 2 is currently only available to registered developers who have also installed iOS 9 on their iPhones. Apple plans to release the software to the public in the fall. The activity complication is now colored on this watch face. It was B&W in Beta 3. Ok so overall this beta is much faster. The animations are smoother and the app load times are slightly better (workout app loads a bit faster for sure). Siri is a lot faster!!! Christ what a difference. Does it fix the  pay issue? Yes, according to the beta 4 Release Notes ('https://developer.apple.com/library/prerelease/watchos/releasenotes/General/RN-watchOSSDK-2.0/index.html#//apple_ref/doc/uid/TP40016205'). I've been using Beta 4 since the afternoon and it seems to be definitely worse than Beta 3. Many times my screen won't turn on until a hard reset, and battery seems to be drained faster. I'll likely try to re-pair tomorrow. If these issues are happening in Beta 4, seems like Apple has a long ways to go until they get this stable enough for public release / daily use. This is the beta I've been waiting for. Beta 3 was a disaster for me. Random reboots, really slow animations and screen brightness was low. * Animations are very smooth. Beta 3 was extremely slow. * UI bug with customising a watch face while time travel is enabled fixed. * Apps appear to load faster. * Wrist detection for turning the screen on now works when you're lying down. I don't like it. I really liked the subtle colors in this watch face, but now this complication sticks out like a sore thumb. I'd like it if they offered two options. Also, the alarm, time, stopwatch, calendar, and sunrise complications all have orange in them too. One of the main reasons I haven't bought it. If you use it all day, and want it to track sleep, wouldn't it need to have a better battery life? I have 40% or so at the end of the day. That'd be enough to track sleep and charge up while you're showering or whatever in the morning. The real problem is that I'm not sure the APIs are there to access all the necessary sensors.